Call: Vicki Veitch on 0266819500. Email: Vicki Veitch at vicki.veitch@ballinarsl.com.au. 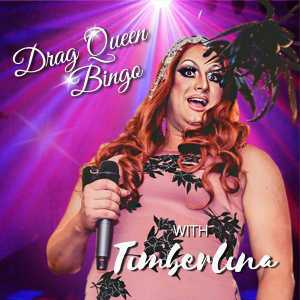 DRAG QUEEN BINGO, DINNER & SHOW WITH TIMBERLINA 18+ FRIDAY MARCH 1, 2019 Doors: 6pm – Dinner & Show: 6.45pm Adults: $42.50 Artist Website Guests are in for a serious fun night as Timberlina comes to Ballina RSL! Timberlina’s over-the-top style and dazzling repertoire, coupled with her naughty quick wit, will keep you fabulously entertained for hours. Timberlina is packing her wigs, glitter and stilettos to head to Ballina RSL for her debut performance. Get ready for a night of fun, laughs and everything in between. This ferocious queen’s eccentric style, naughty quick wit and dazzling Diamond repertoire will have you in stitches on the floor screaming for more. Tickets are just $42.50 per person and include three games of bingo, performances and a two course dinner. There will be some fantastic prizes up for grabs – remember those daubers, if not she’ll have some at the door for sale!